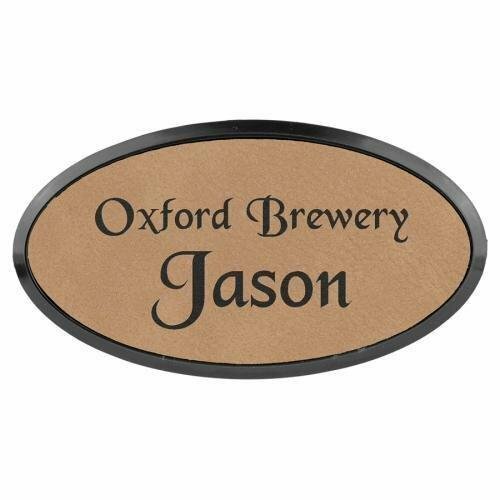 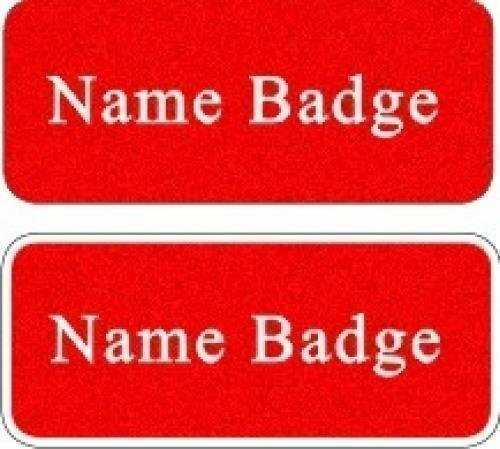 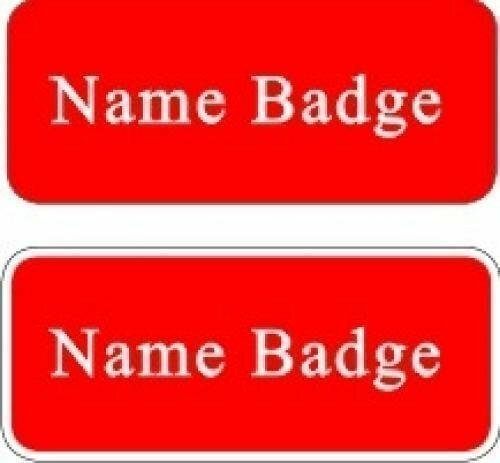 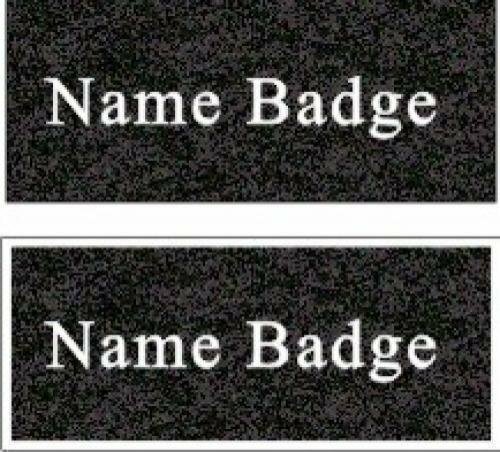 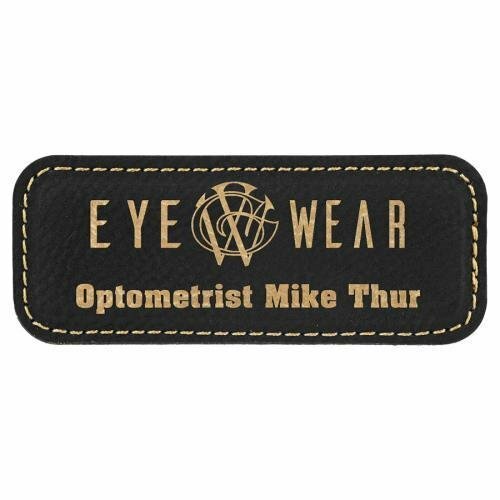 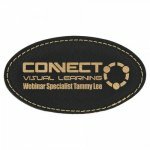 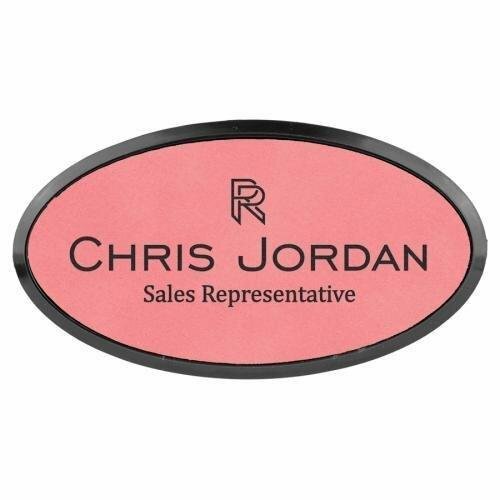 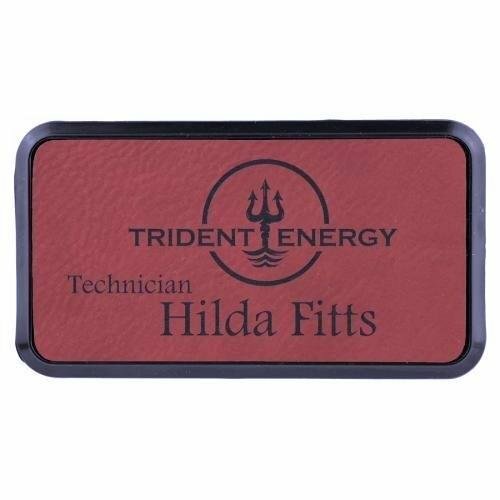 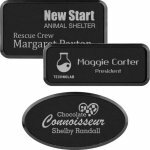 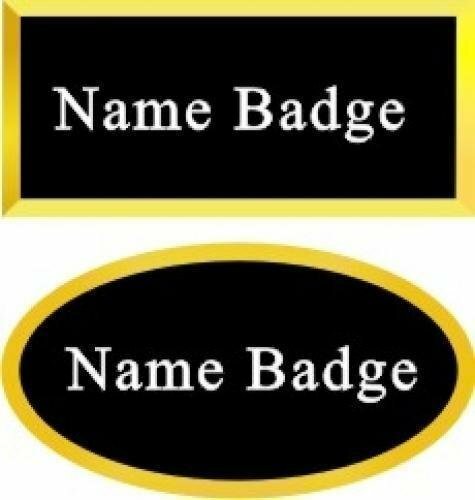 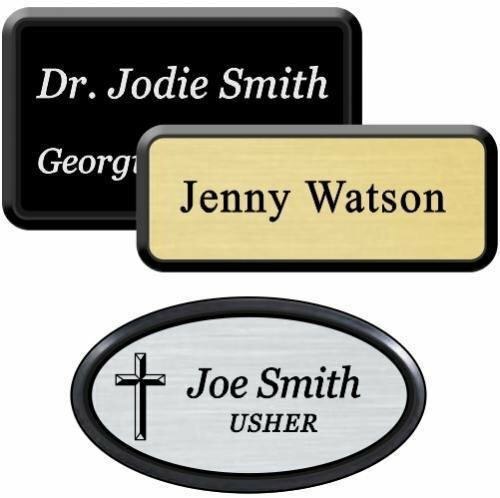 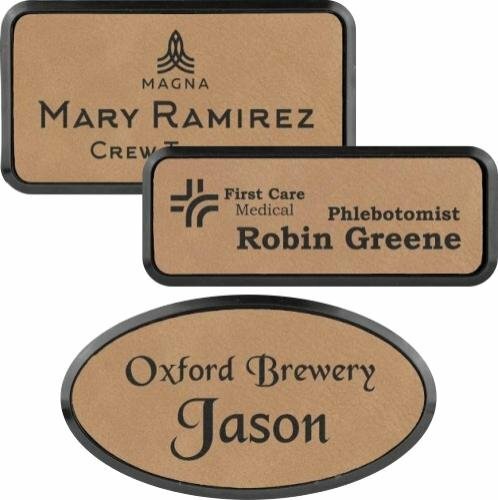 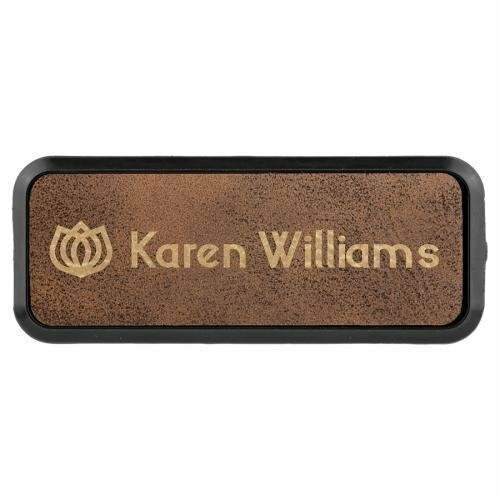 This name badge has a Scratch Resistant Textured surface, oval shape and a wide variety of color choices. 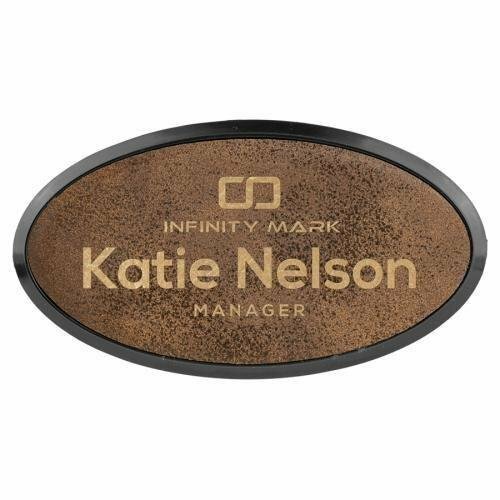 It is normally produced with a very strong magnetic backing. However, magnetic backings should NOT be used by people with pacemakers. 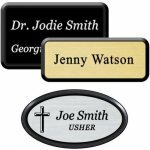 There are several other attachment choices available. 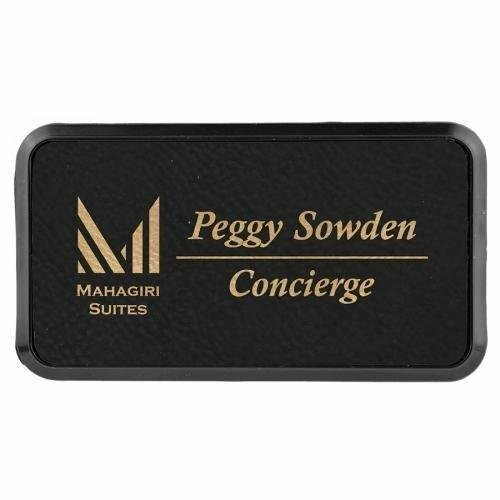 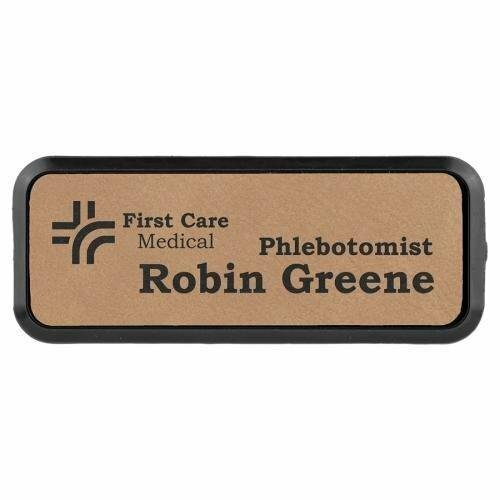 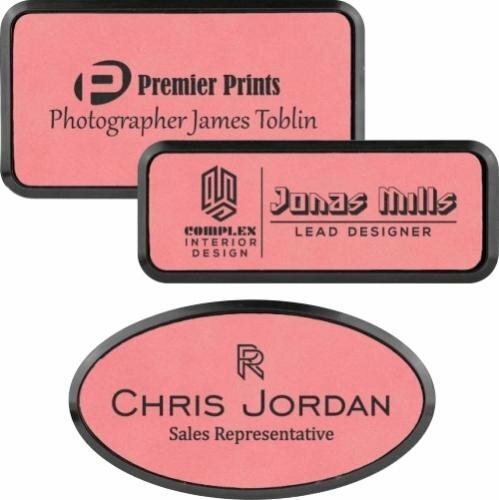 This name badge has a smooth surface, square corners and a wide variety of color choices. It is normally produced with a very strong magnetic backing. 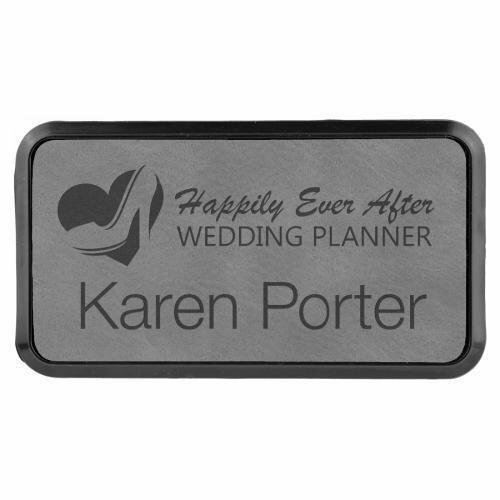 However, magnetic backings should NOT be used by people with pacemakers. There are several other attachment choices available. 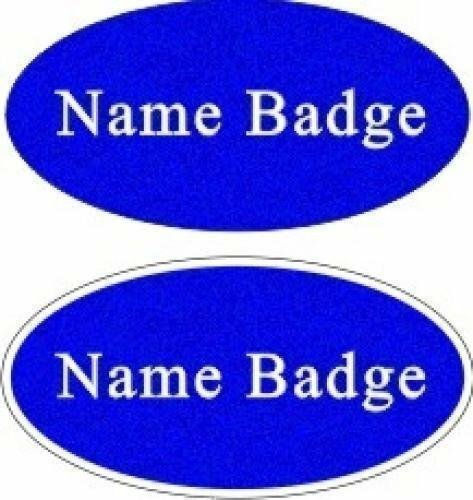 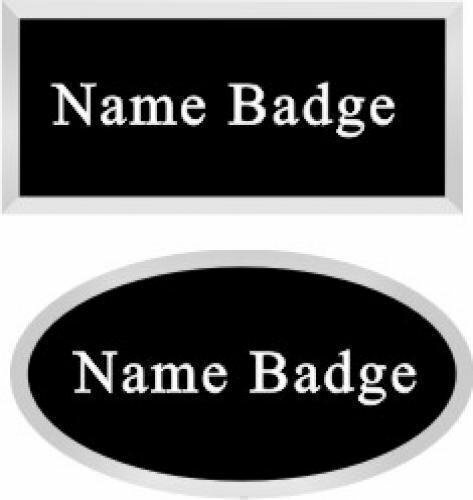 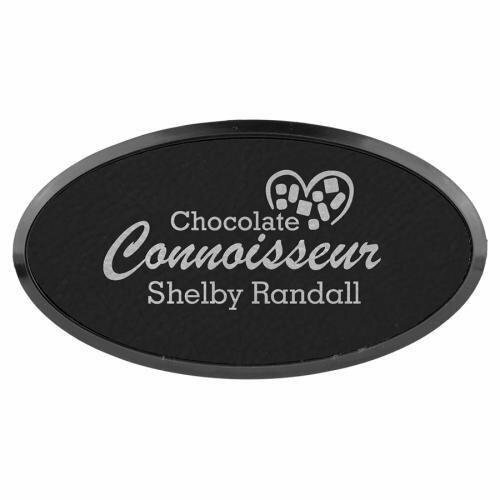 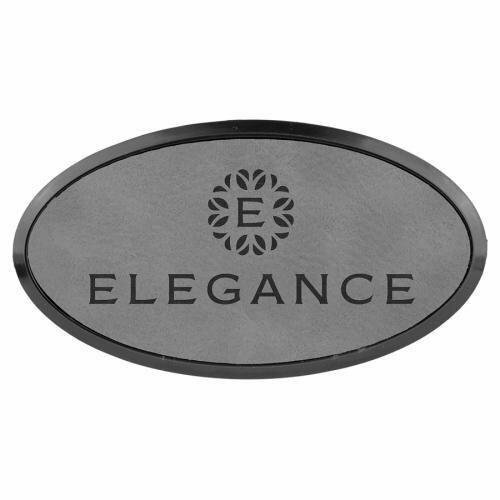 This name badge has a smooth surface, oval shape and a wide variety of color choices. It is normally produced with a very strong magnetic backing. 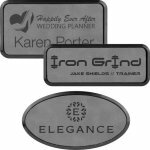 However, magnetic backings should NOT be used by people with pacemakers. There are several other attachment choices available. 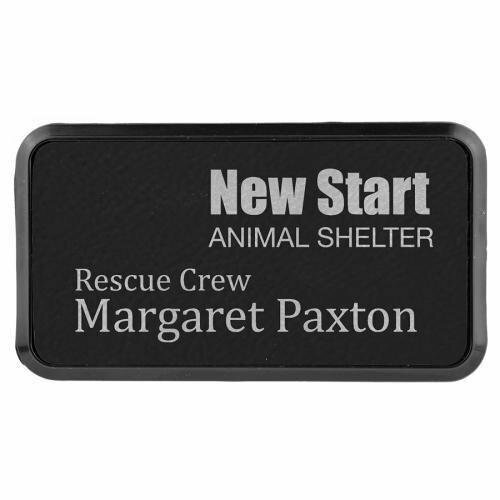 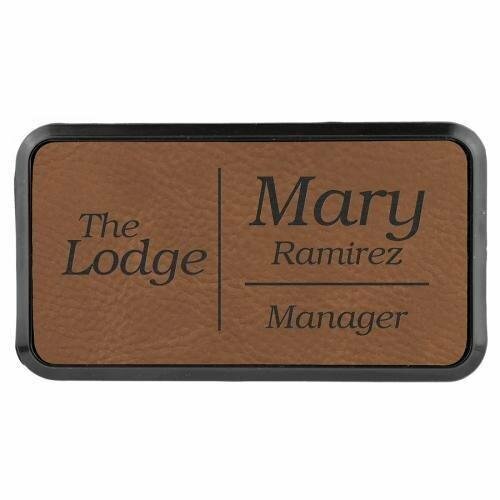 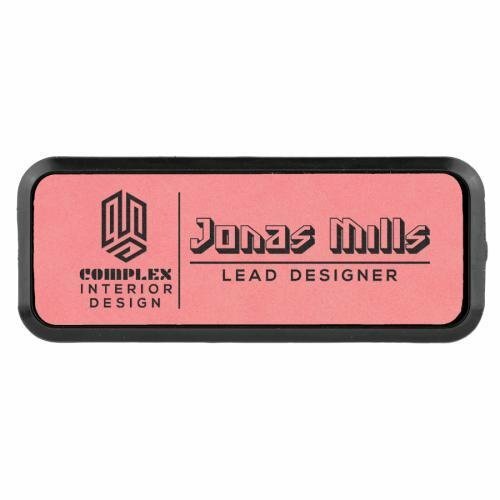 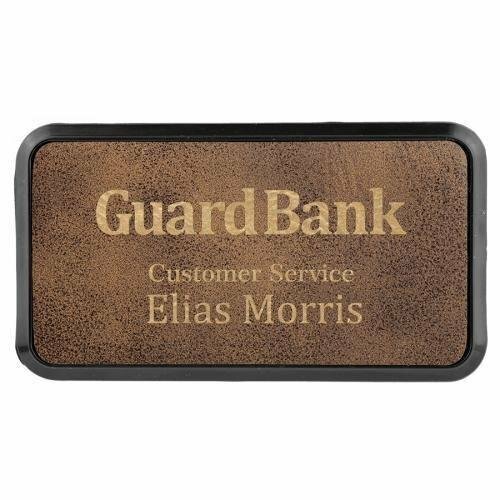 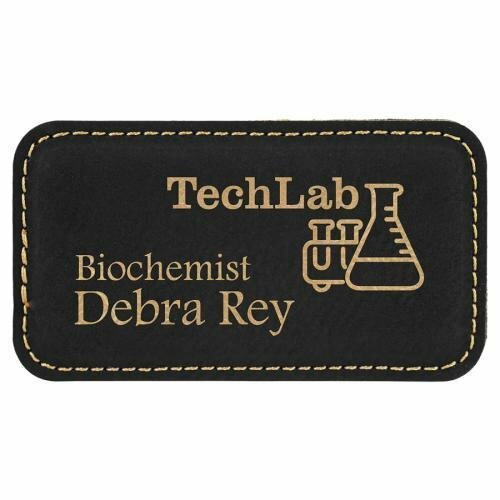 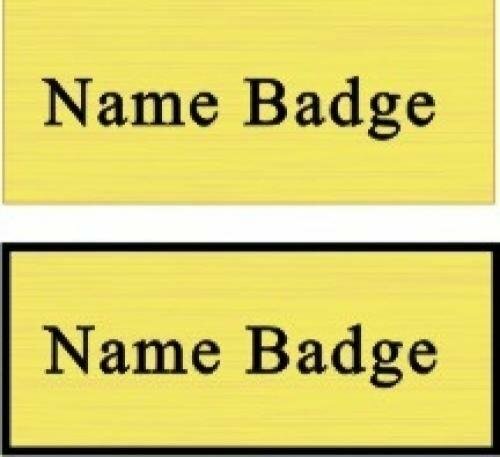 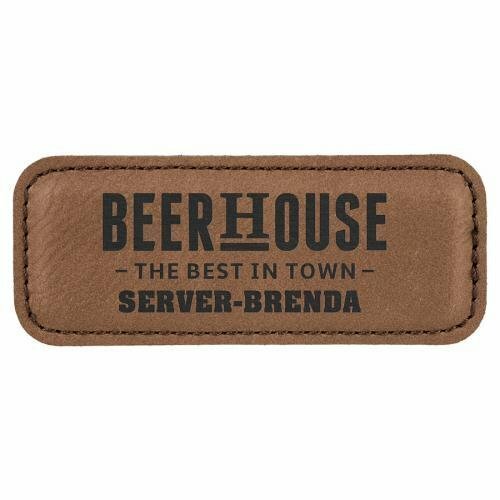 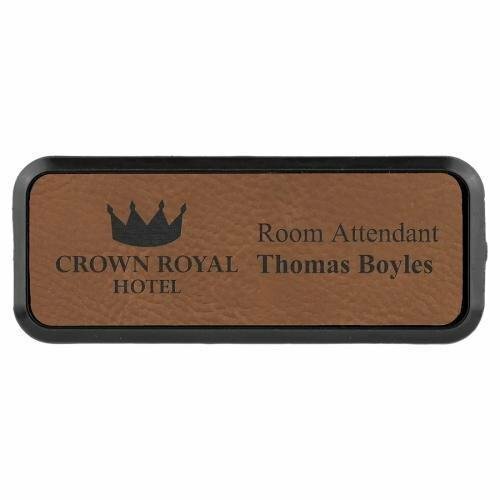 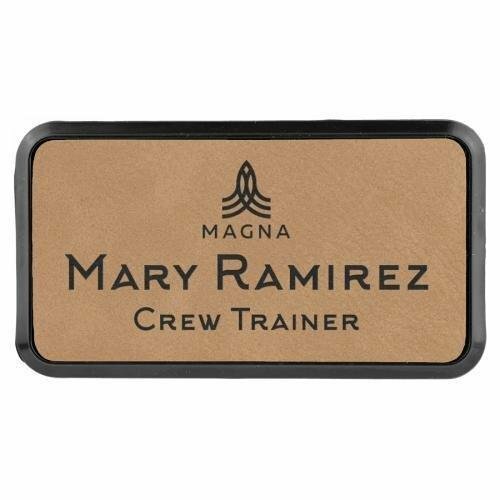 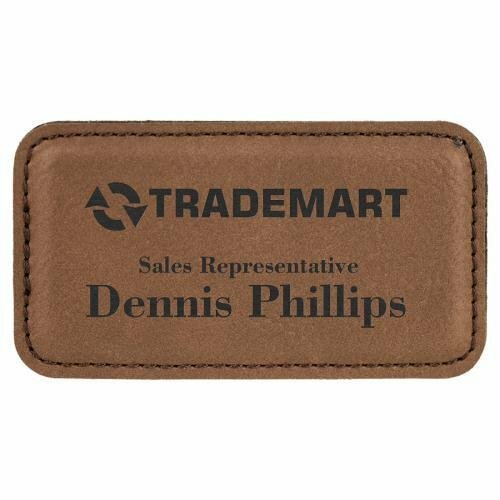 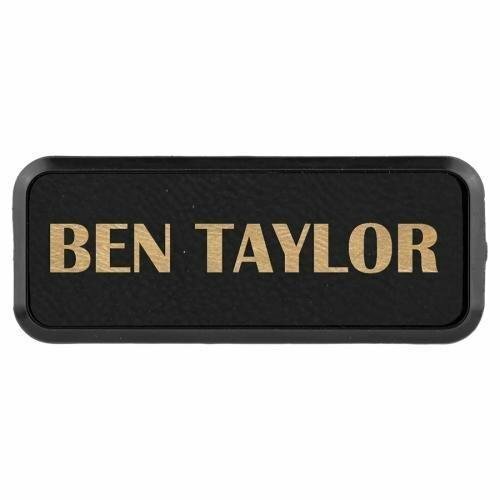 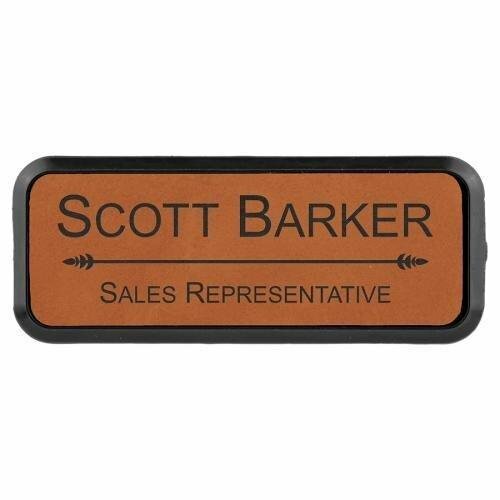 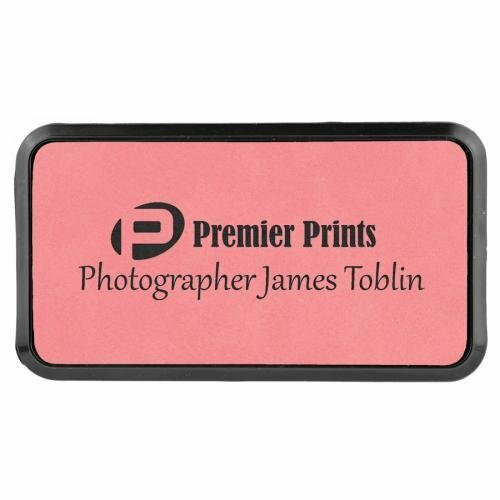 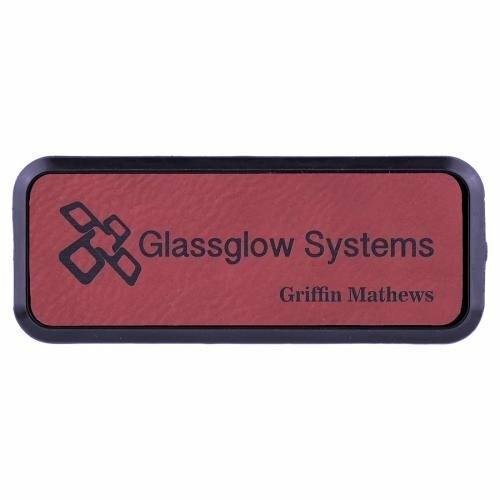 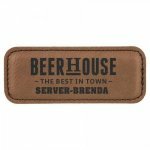 This name badge has a Scratch Resistant Textured surface, square corners and a wide variety of color choices. 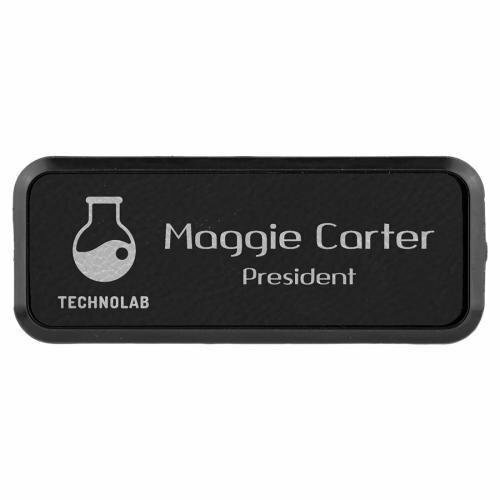 It is normally produced with a very strong magnetic backing. 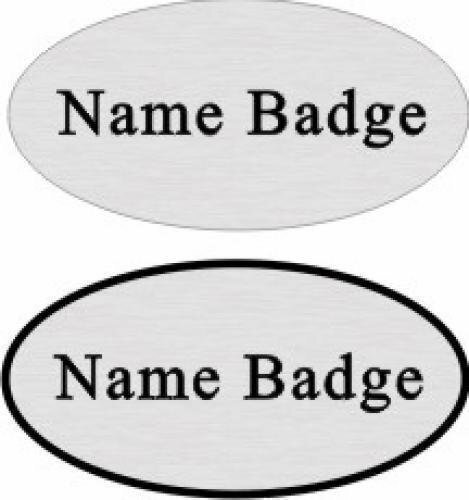 However, magnetic backings should NOT be used by people with pacemakers. 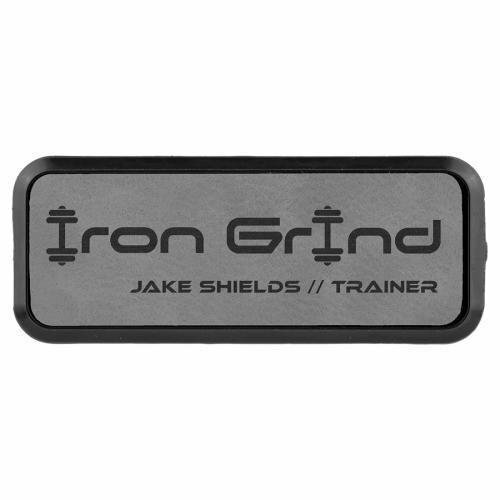 There are several other attachment choices available.